A captivating memoir from the incomparable Garry Wills, 'one of the country's most distinguished intellectuals' (The New York Times Book Review). 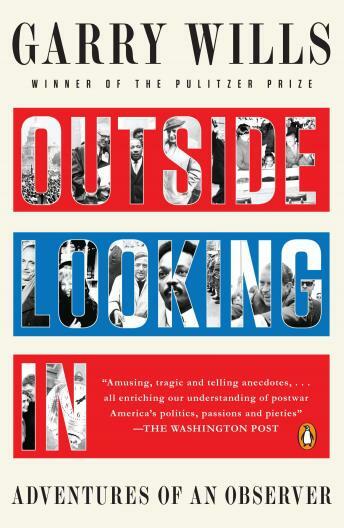 Illuminating and provocative, Outside Looking In is a compelling chronicle of an original thinker at work in remarkable times. With his dazzling style and journalist's eye for detail, Garry Wills brings history to life. Whether writing about the civil rights movement, 1960s protests, or close-up studies of the people who have shaped our world, only he could bring together in one book Barry Goldwater, Daniel Berrigan, Beverly Sills, Richard Nixon, and John Waters. Wills shares, as only the best raconteurs can, stories of the fascinating people he has closely observed during more than 50 years of reporting.